Hi there! 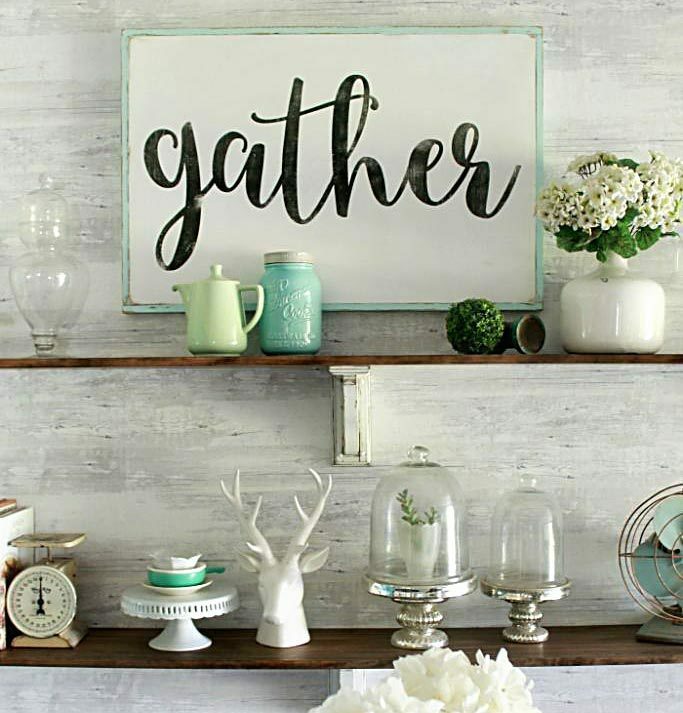 Be sure you’re following us on Instagram + Pinterest where we update pretty ideas daily. 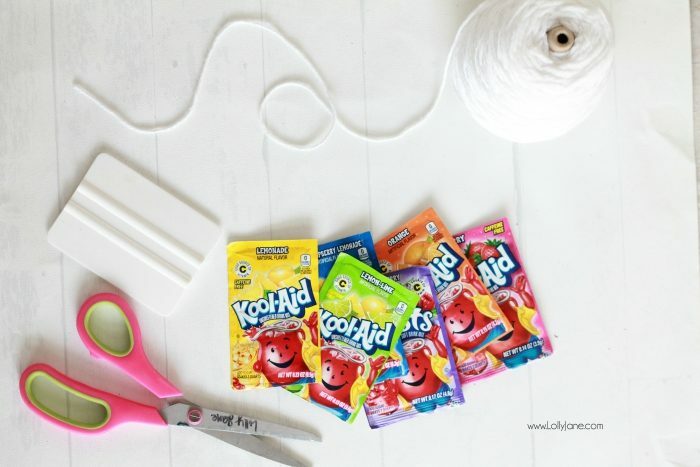 Kool Aid packets, 0.14 oz., go crazy with color, they’re only $0.10! 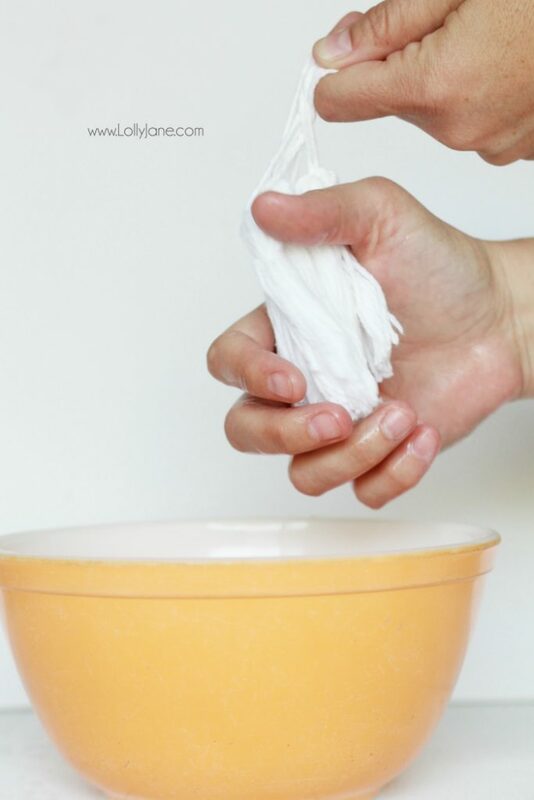 Squirt a teaspoon of dish soap into a small microwave safe bowl. 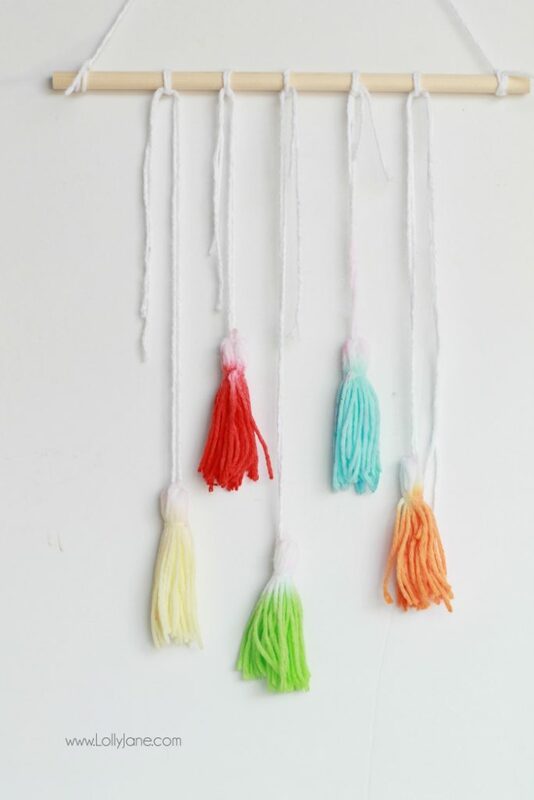 Dip yarn in water for 20 seconds (only wet the part you’re going to dye next). 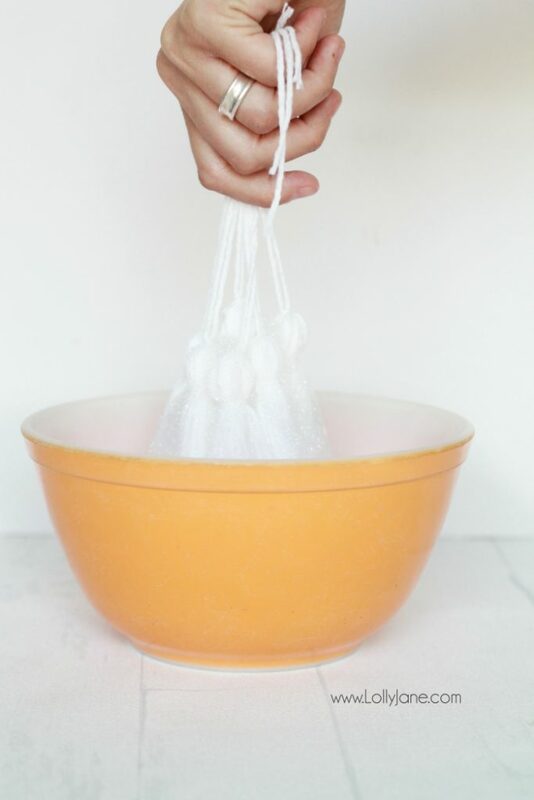 Rinse previous bowl, refill with water, warm 1 minute. 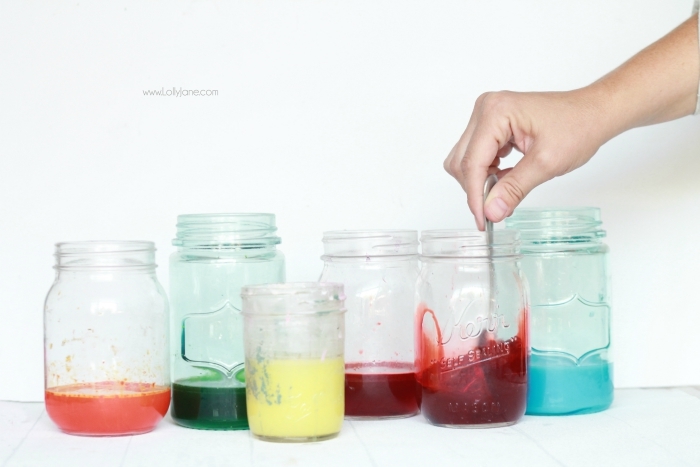 Add 1 packet to 1 mason jar per color choice. 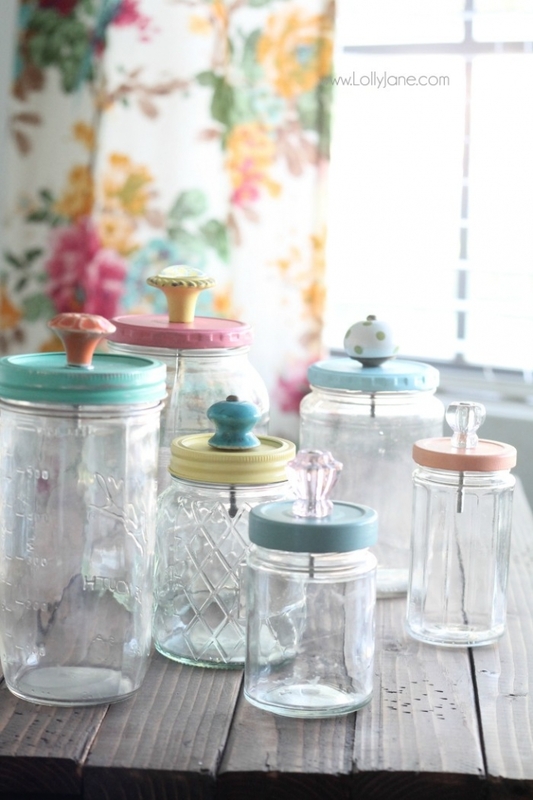 Add 1 cup of water to each mason jar. Stir until Kool Aid is dissolved. 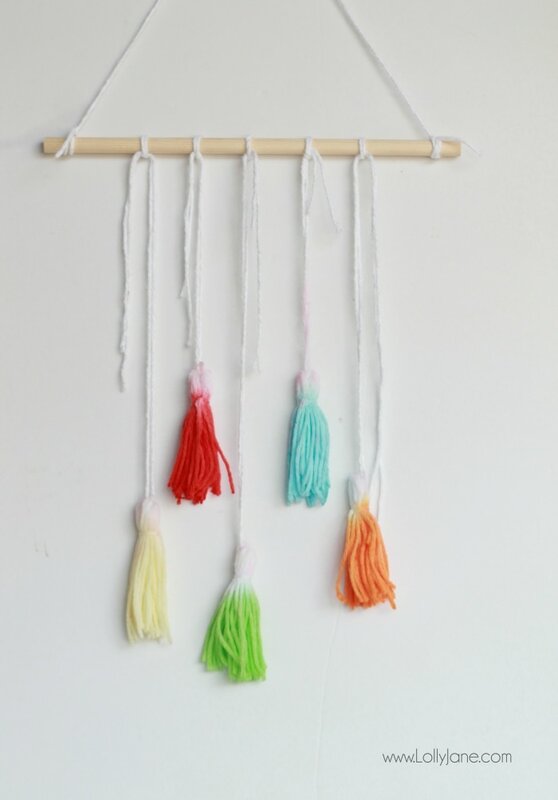 Dip tassel in mixture for 30 second increments until satisfied with color. 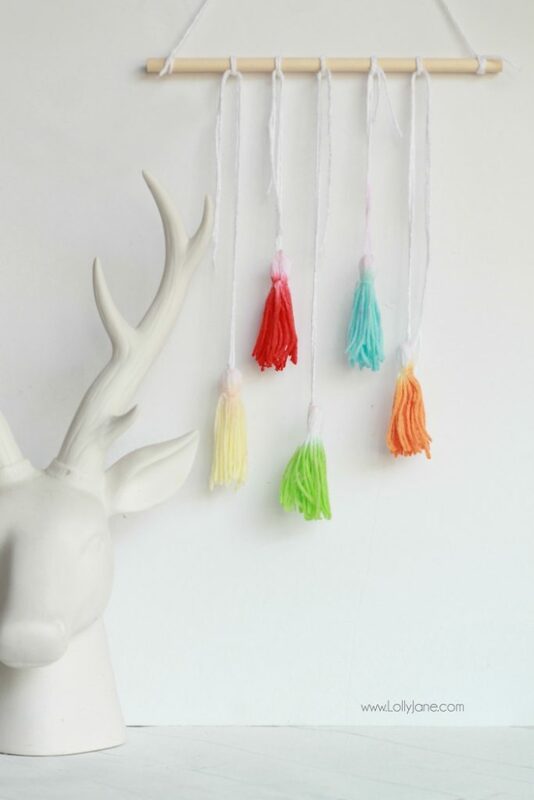 Note: lighter colors need more time. Wring out excess liquid over sink. 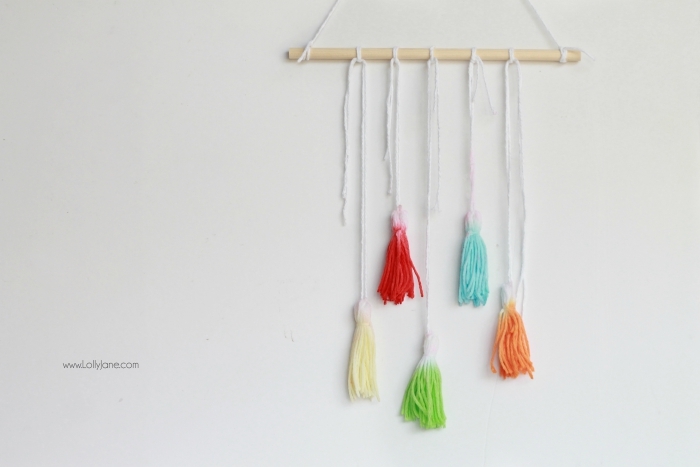 Hang to dry, allow 24 hours. 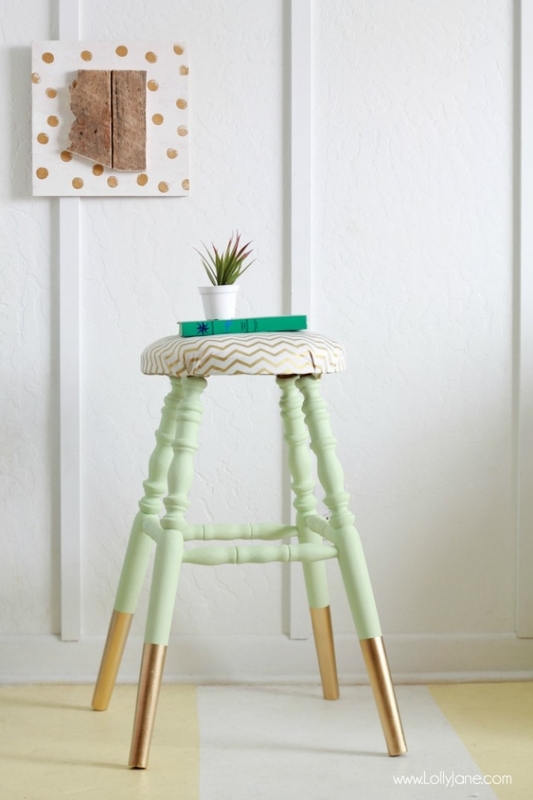 and our thrifted gold dipped stool makeover. 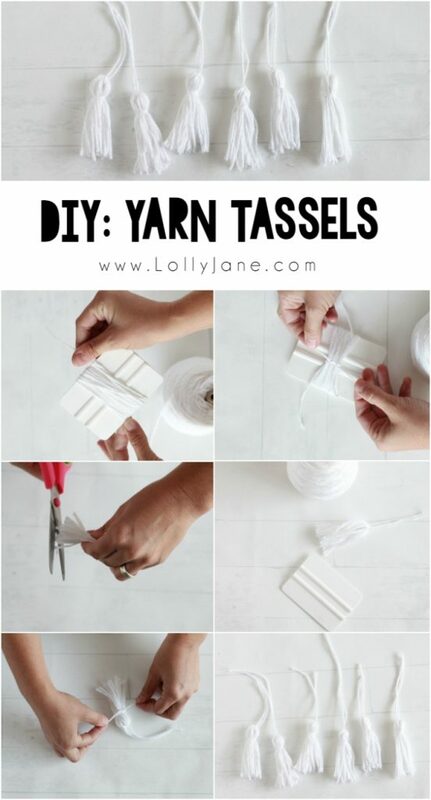 Such cool ideas!! 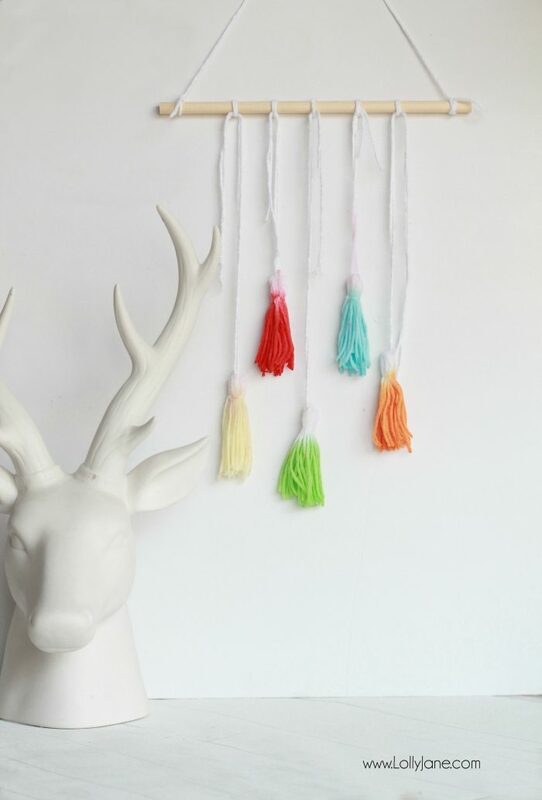 love those tassels! I don’t see where the dish soap is used. 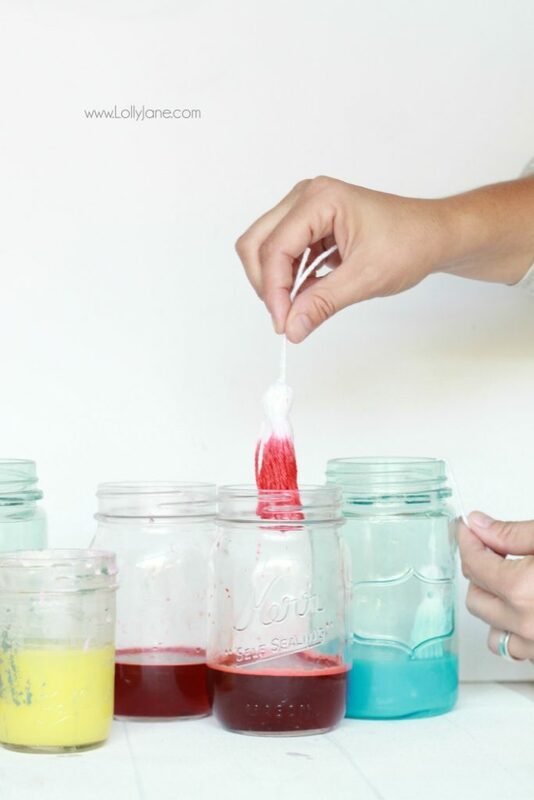 Unless it was meant to be “Dip yarn in dish soap” in the directions below? Thank you.